Don't miss this unique opportunity to experience a design collection from Turkish Harran based on social impact, translating Mesopotamian knowledge and aesthetics to our times. The event is part of Stockhom Design Week and 25 Hours Design. Harran is a district in southeastern Turkey, close to the Syrian border. The area has an ancient history, and Harran has been the gateway of many civilizations during more than 5000 years. 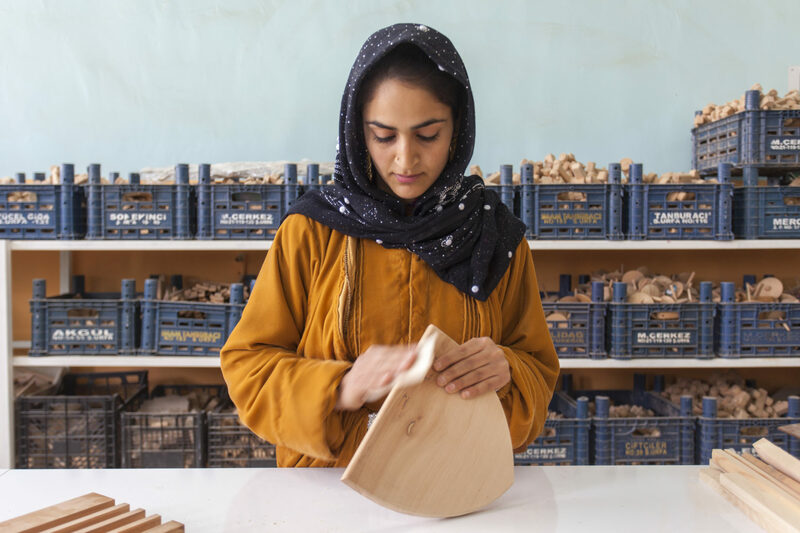 The Atlas Harran design collection is a product line, based on a social responsibility model supporting local and Syrian women living in Harran to generate economic independence by being at the core of the production process. One of the Turkish partners Istanbul In-BETWEEN, a design plattform founded by Bilgen Coskun and Dilek Öztürk, also the curators of the Atlas Harran design collection, will during the evening present the story of the colllection together with colleagues in The Atlas team. The program will also highlight the social impact of crafts and design, as well as activities within Equal Spaces. The program will include Ömer Faruk Çelk, District Governor of Harran, curators Bilgen Coşkun and Dilek Öztürk, designers Begüm Cana Özgür, Rebecca Ahlstedt and Erica Jacobson, Suzi Ersahin, former cultural counselor to Sweden in Istanbul, James Taylor-Foster, curator at ArkDes and the Swedish Institute team.